A Little Tense | What the Craft?! 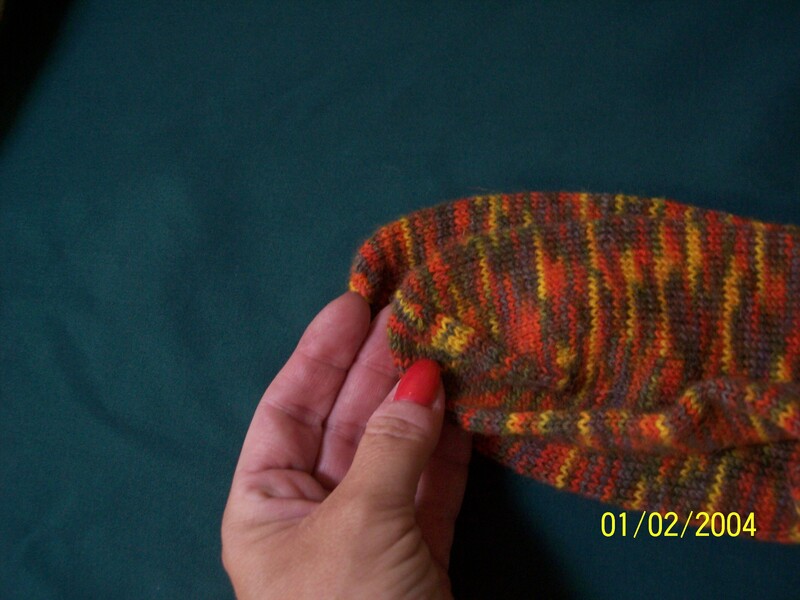 This knitting masterpiece was showcased in my post, Knit Together, on a different blog. It was saved from being put in a frame or shadowbox and I actually made another one. WHAT?! I followed the sock pattern, struggled with the short rows and the heel turn and even did a proper Kitchener stitch (thanks to the greatest sock book in the world, Getting Started Knitting Socks, and some really helpful web videos). I’m such a silly perfectionist that I even counted every row (way more than 100) to make sure the socks were EXACTLY the same. 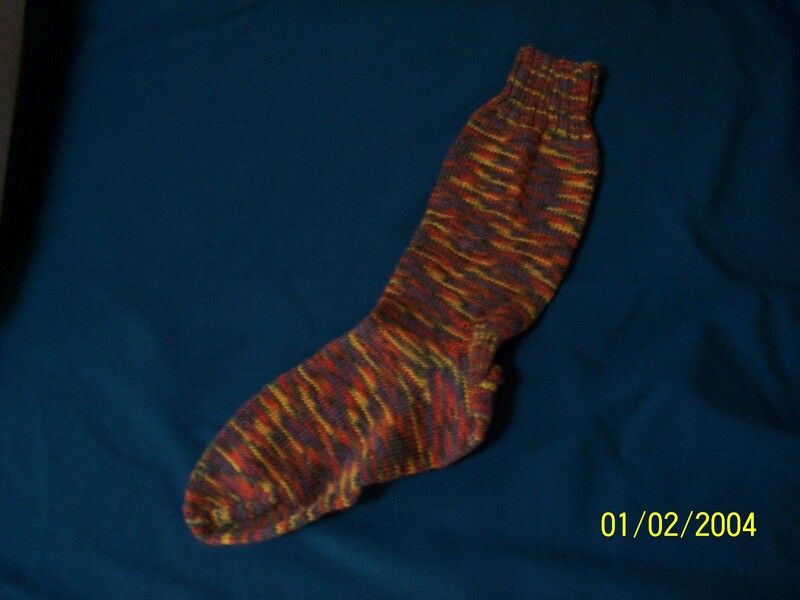 So why did they turn out like socks knit for completely different sized people? The answer, of course, is tension. Like other places in life, the level of tension in your body shows up in everything you do. Yes, smartypants, I know I should have realized this, but I didn’t! I know it’s common sense, but I wasn’t thinking about tension. I was thinking about making sure that teeny tiny yarn could stay on those teeny tiny toothpick-needles to make those teeny tiny stitches, while perspiring and praying not to drop a stitch or lose a needle. The second sock was much easier, and OF COURSE my stitches were looser since I wasn’t clawing onto the giant toothpicks as if life and death depended upon it. 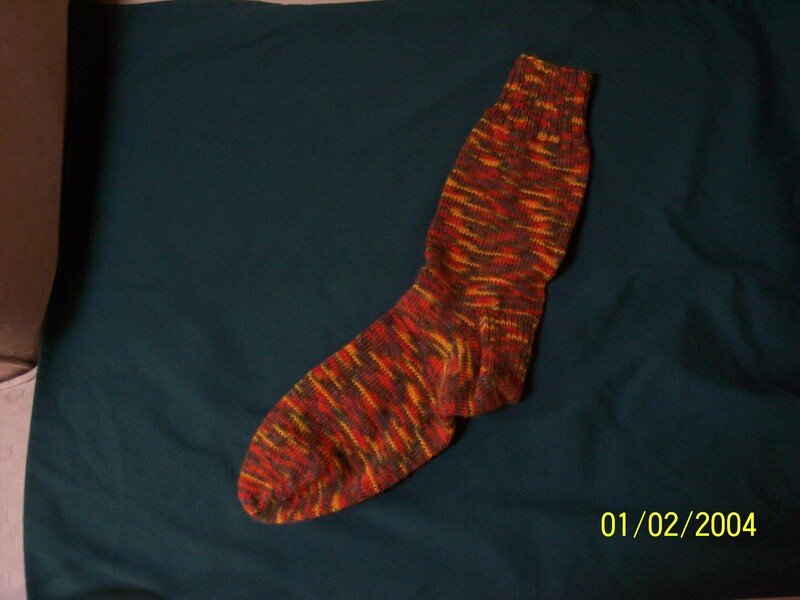 So what I’ve got is more than just a warm and yummy, albeit slightly deformed pair of wool socks to snuggle into this winter. I’ve also got a gentle reminder of how tension extends beyond my mind and into other areas of my life. A good thing to keep in mind as we start our homeschool year. I’m sure my kids will thank me for it. 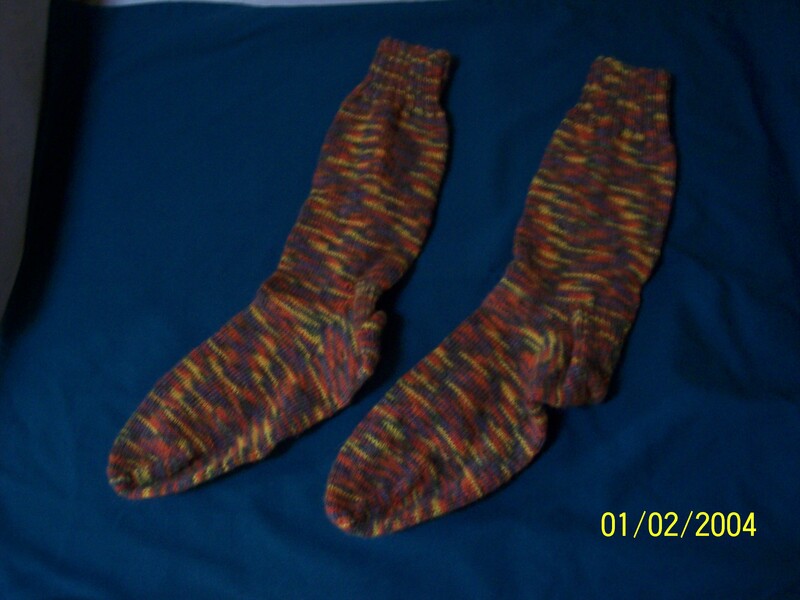 I would be tense making those socks, for sure, but they look all warm and nice for the coming cool evenings. I have been relearning lessons about allowing tension to negatively impact my life, too, and your teaching here was a good reminder. I am putting mine in a shadow box, tension schmension. And I do mean IF I ever get the stupid sock done.